I got a comment about where I found the skeletons. You can find the link here. Also thanks to the same person who said they like 'Hi all'. No sarcasm. You might see that I changed my post background color so you can see where the links are. My student blogging challenge said I have to write a poem with a picture. This is going to be off the top of my head so don't expect much. quite a long story. It will be in the next post. By the way I created it last year for my fairy tale writing project. Hope you like it! At the edge of a small pond lived a small family in a fancy wooden house. There was a boy called Tom and a girl called Lilly. They lived with their mother and their father. The parents were very rich but they never shared their money with the children and only fed them the scraps from every amazing meal they ate. When a terrible famine came to land, their parents owned nearly all the food and hungry families helplessly attacked their house all day and all night, screaming for food, and their parents became even more angry than ever before.One night, Tom and Lilly could not sleep. Normally, Tom would watch the stars and could never sleep, but when this moon rose, neither of the pair could even close their eyes. Instead, they were watching a thin boy outside collect pebbles. “Oh I wish we could go outside and play in the moonlight” Whispered Lilly to her brother. “We could pick berries and be rid of the awful bashing outside.” Tom did not answer. But he too, was thinking about the little boy outside. His father was a woodcutter. Tom knew this because he could hear the man felling trees and shouting timber all day. Tom and Lilly could never go into the forest. They spent their days locked up in their bedroom. Every morning, a flat box would slide under the door containing stale bread and crusts. the pair would share the small amount of scraps and then slide the box back through the door. If they didn’t, they would not get food the next day. The small amount of their parents scraps were never enough to fill the pairs tummy. But early next morning, the box came early. And it was not alone. For holding it was Tom and Lilly’s father. He was not in a good mood either. He opened the door with such force it nearly came off it’s hinges and made Lilly jump a foot in the air. “OUT.” He bellowed. Tom and Lilly walked into the hallway but the father wasn't satisfied yet. “THE HOUSE YOU FOOLS.” “Surely you are not kicking us out?” Questioned Lilly. The box that had survived for as long as they could remember suddenly crumpled inside the man’s giant fist. Taking the hint, the pair quickly found their way to the door.The crowd outside were all lying down on the ground. Probably asleep. But the next thing gave both of them a shock. The slam of the door behind them and the click of the lock that followed. Tom and Lilly started to scream and they helplessly attacked the door until sunrise came, where they spotted the boy from last night along with the rest of his family. They were all heading to the forest near their house. The forest was also fairly close to them as well. The pair decided to follow them in. “I’m sure that they would give us a bite to eat if we asked.” Said Lilly. ”Maybe even a place to sleep for the night.” Tom did not agree. He was stuck on the theory that they would also send them away. “We probably should follow from a safe distance.” He said.So the pair followed the family from a distance where the family could not see them. At one point, the family lit a fire. They said something to each other but Tom and Lilly could only hear murmurs. Then the adults went deeper into the forest, leaving their children alone. Soon Tom got bored and he left to find the parents. Lilly thought they should wait for the adults to come to her and ask them for a small bite and maybe a place to rest for the night. But she knew that Tom would never agree to that. But they never came back. Nor Tom. Before she knew it, the moon was up and her eyes were closed.Suddenly, Lilly was shaking violently and her eyes tore open. Tom was over her, shouting words in her face. She did her best to make words out of the sounds that were thrown in her face. “They’re gone! All gone! Were lost! No food! And TREES! TREES, TREES, TR-” “Calm down Tom! Trees won’t kill you!” Lilly interrupted, still half asleep and not taking in the situation properly. “Lilly! Were lost in a forest thicker than our fathers arm hair! The trees can and will kill us! We’ll STARVE!” Lilly said nothing. Their father did not have thick arm hair but she knew that the forest was still very thick. Tom finally stopped yelling when he heard voices. He leaped into a bush and then ran out saying a word that starts with “F”. Lilly stifled a laugh as a few bees emerged out of the bush and flew after him. 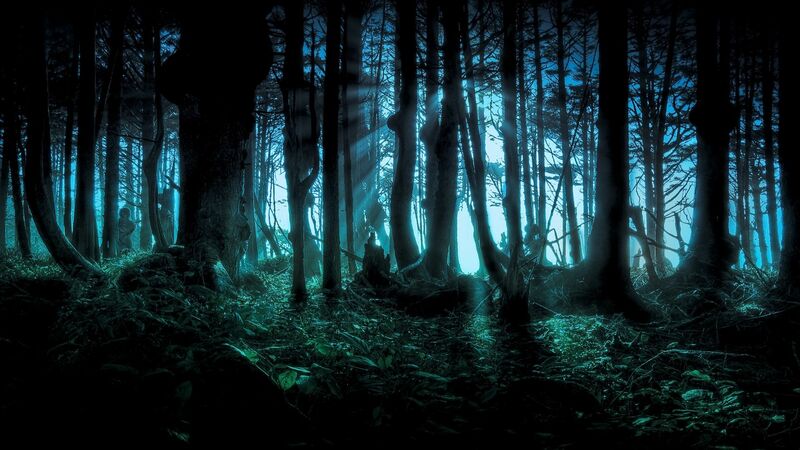 The voices grew louder.“Do hurry up Hansel, you are slowing us all down!” Lilly hid behind a large oak tree and listened. “stay near the fire and we will come back soon.” Lilly followed the voices until she saw the group of four from yesterday reunited again. the two children were sharing a piece of bread between them. Not an awful lot either. Lilly began to reconsider the fact that the family would be able to help them. They must have more at there house. She thought. If they cannot help us, then we wouldn't be here. Suddenly, a noise came from behind Lilly. She swung around, ready to fight. A very wet Tom stood up with his arms up and rolled his eyes. “Sheesh, it’s just me.” He whispered. “No need to throw fists.” Lilly relaxed. Ashamed, she started to talk.”What happened?” “Bees can’t swim and the water is freezing. Who was talking before anyway?” Tom asked. “The family from yesterday. And the parents left again.” Lilly whispered. A heavy silence fell and then Lilly sat under the oak and covered her eyes.Tom started to attack the tree but he soon stopped. He sat down next to Lilly and whispered into her ear.”Trees can and will kill us, but that’s no reason to give up.” Lilly looked up and forced a smile but it didn't last. Through their misery, they heard voices. Gradually, they got quieter until it finally stopped. But the pair didn't care. They were lost, hungry, cold and alone. When the moon came up, Lilly managed to fall asleep but Tom couldn't even close his eyes. So now this is where you comment with your answer to what happens next. Sorry but the paragraphs lagged the writing off the screen. Don't forget to add your own blog address when you comment for others to see your blog! Also I believe this is the biggest post in room 10 as to this date. All for now.